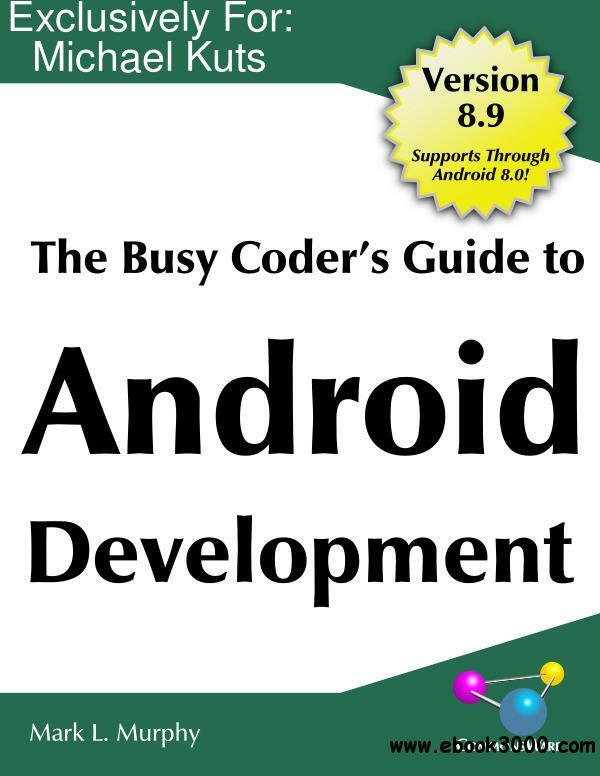 The Busy Coder's Guide to Android Development for Android Studio 3.0, covering the Android SDK through 8.0. The core chapters - representing ~800 pages - are set up as a typical programming guide, covering the basics of getting an Android app up and running. The book includes material on setting up your development tools, constructing a user interface, loading data from a local database or the Internet, handling the differences between phones and tablets, and much more. The core chapters also include an integrated set of 16 tutorials, offering you step-by-step guides for creating an Android application from scratch. Hence, whether you "learn by reading" or "learn by doing", you have the material in the core chapters to accomplish your goal.